November 17, 2017 IT companies, industry experts and approx. 4,000 trade visitors met at IT2Industry 2017 in Munich from November 14 to 17 to discuss the next steps of digitalization and present specific solutions. IT companies, industry experts and approx. 4,000 trade visitors met at IT2Industry 2017 in Munich from November 14 to 17 to discuss the next steps of digitalization and present specific solutions. The Open Conference provided important stimuli for IT providers and users on the way to digital transformation in 30 talks. 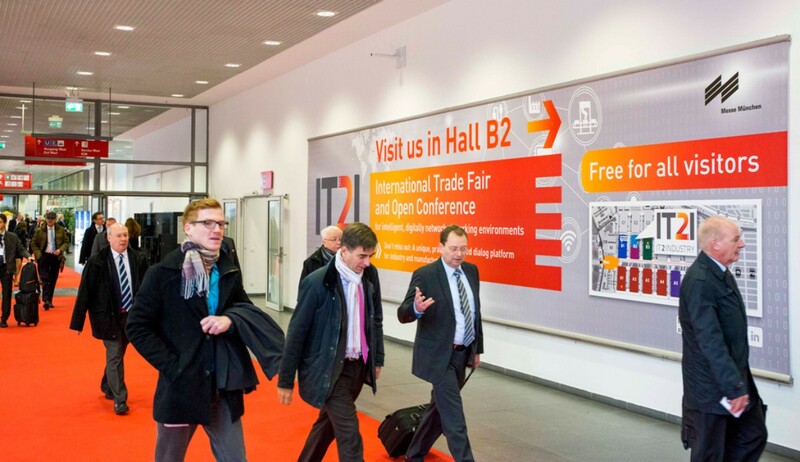 IT2Industry took place in the context of the leading global trade fair productronica. Industry experts all agree that Industry 4.0 and digitalization provide enormous economic potential. IT provides the technological basis for this, because the availability of data opens up new business models. “The performance of a machine will be the offer in the future. This will create new opportunities for companies to reposition,” Stephan Noller stated, Vice President of BVDW—Bundesverband Digitale Wirtschaft e.V. Keyword digitalization: Large companies do it, and there is an enormous pent-up demand for it in many small and medium-sized enterprises (SMEs). This creates an important task for IT providers and users at the same time. Especially small and medium-sized companies have to stop fearing it. It is a management responsibility, but also a task for companies as a whole to promote the topic of digitalization, because all employees must be included in this change process. The future prospects are positive. According to the study “Internet of Things 2017” by IDG Research Services, 57 percent of companies want to invest significantly more in IoT over the next few years. The study was presented exclusively within the context of the IT2Industry. Industry 4.0 and digitalization will be successful when companies generate new business ideas from data. The most important prerequisite: “The main task is to make infrastructure secure,” Mr. Noller explained. Secure data provide a clear competitive advantage. Machine manufacturers and IT specialists must develop products in collaboration in the future. This means that an exchange between market participants is urgently needed. “I believe that working and connecting in different networks is incredibly important. As with our own ecosystem, there are a variety of partners and companies with unique perspectives and insights. In this respect, opportunities such as trade fairs and congresses are very attractive. Networking must be brought to the forefront to meet and understand the right partners. A win-win situation can be created for all involved thanks to collaboration,” Niklaus H. Waser stated, Vice President IBM Watson IoT Global EcoSystem, IBM Watson IoT Center. 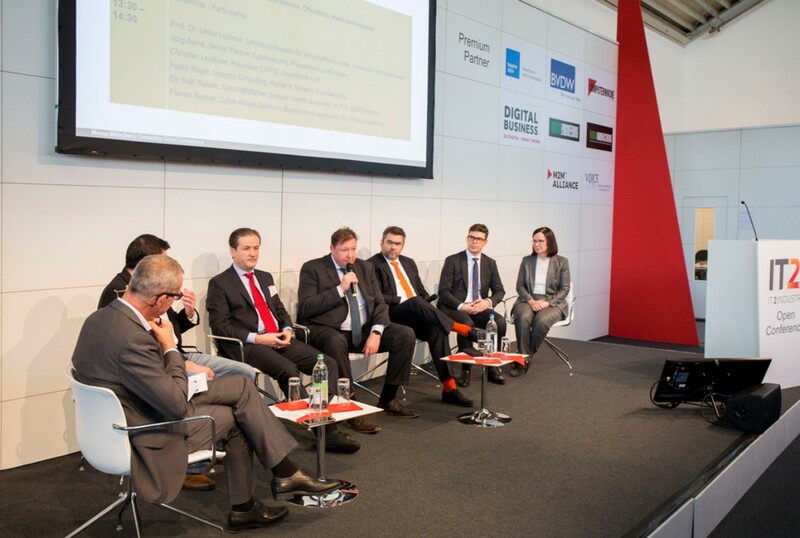 Peter Burghardt, Managing Director techconsult, emphasized: “A common basis is important. Consequently, a platform for professional exchange such as IT2Industry brings is extremely significant, because it brings the different worlds together, for example, IT with the “conventional” engineering world, and enhances dialog between them. The objective is to create networks and collaborative ventures to master the tasks of digitalization together. Trade fairs play an important role in this: “Platforms such as IT2Industry are important for IT companies. You can meet the business decision-makers at such events, who need to understand the issues. New initiatives can be created thanks to the stimulating dialog,” Mr. Burghardt added. The next IT2Industry will take place as a topic area in the context of automatica in Munich from June 19 to 22, 2018. As a leading international trade fair for intelligent automation and robotics, automatica provides IT companies with direct access to top decision-makers from all sectors of the manufacturing industry.